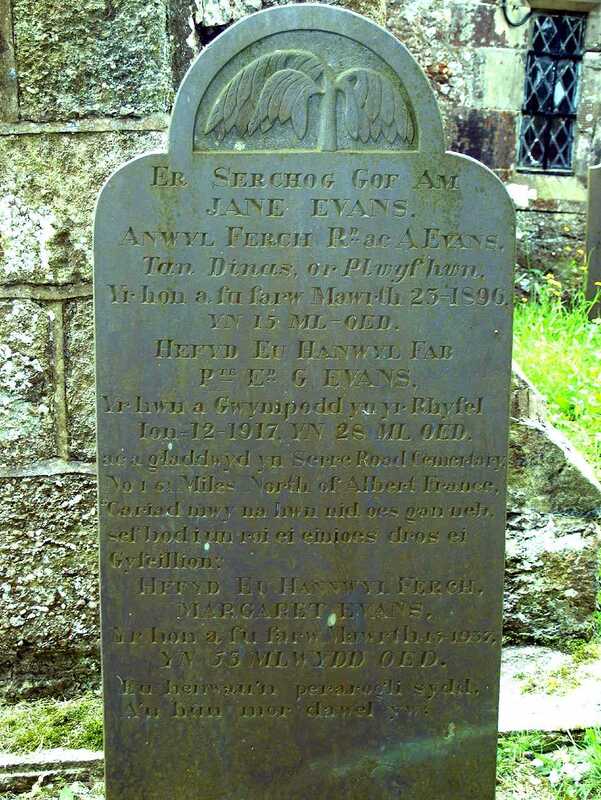 Anglesey, Llanfair-Mathafarn-Eithaf, St Mary's Church, WWI Memorial to Private Edward Griffith Evans died 1917 aged 28 on the grave of his two sisters. 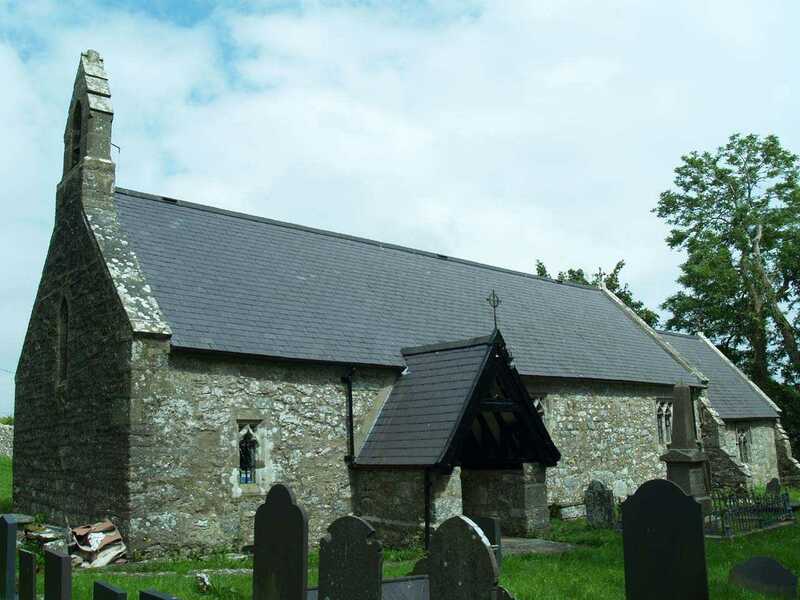 Llanfair Mathafarn Eithaf (Llanfair M.E.) is, like most villages on Anglesey in North Wales in a very rural location, and does not have its' own war Memorial. 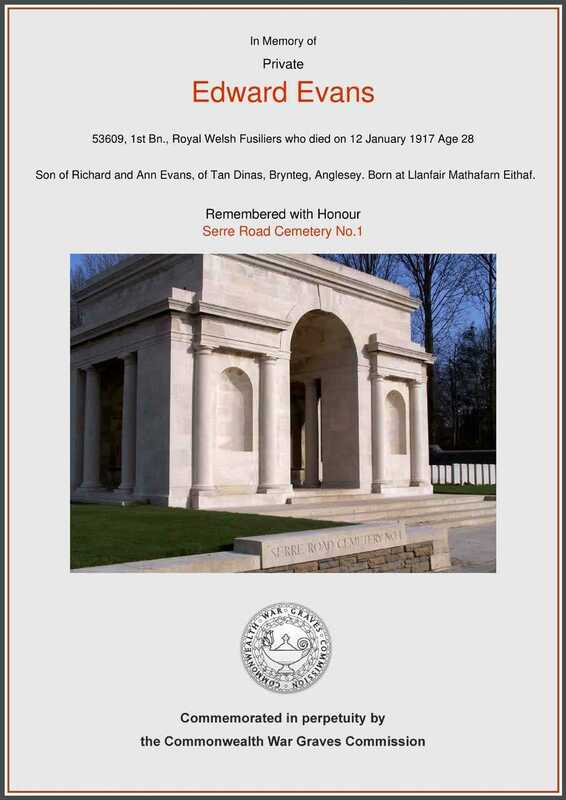 In the Churchyard there is one young man - Edward Griffith Evans - remembered on the grave of his sisters, he was killed on the Somme in France and buried at Serre Road Cemetery. He was the son of Richard and Ann Evans of Tan Dinas, Brynteg. CWGC Memorial to Private Edward Evans died 1917 aged 28.